Things have been a little crazy around here lately. We've got a lot going on behind the scenes that I can't wait to share with you! One of the things we've been working on is making over our guest bedroom. We live pretty far from my family, so when they visit, they usually spend the night at our house. A cozy guest bedroom is a must have for us!! 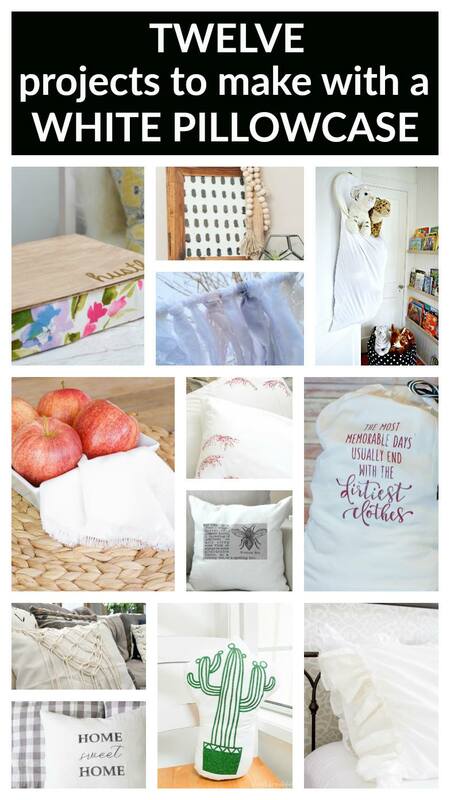 When my friends and I decided on white pillowcases for this month's Monthly DIY Challenge, I decided to make something for our new guest bedroom! I've only played with my Silhouette a few times, but every time I do, I wonder why I don't use it more!!! It's not as tricky as it seems! 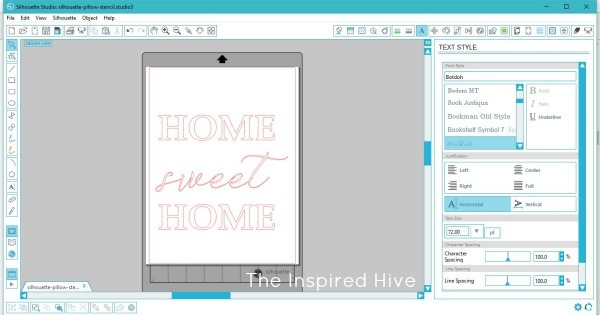 I used Silhouette Studio to make add my "Home sweet home" quote. That's it. I didn't have to do anything fancy in the software. Quick and easy! Then, I set it to cut. Since I was just making a stencil, I used contact paper. No sense wasting good vinyl! 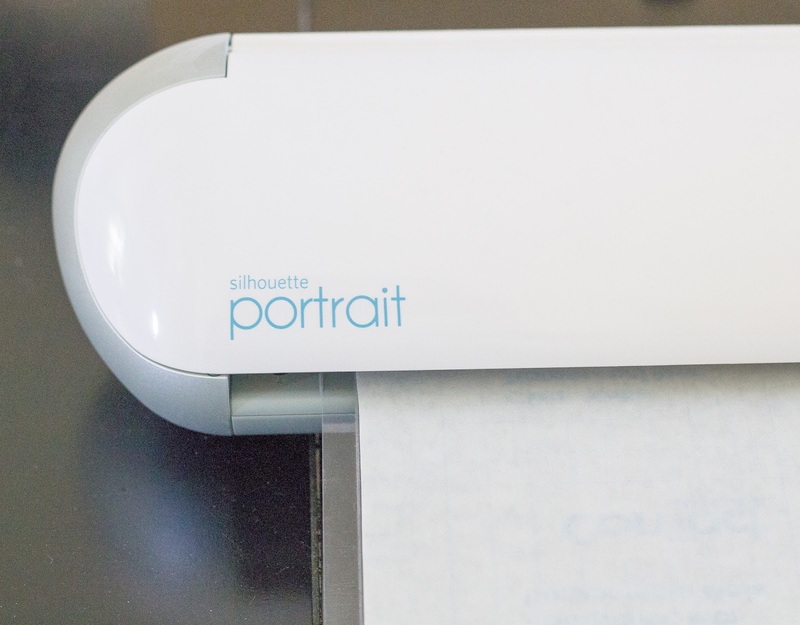 Contact paper is cheap and works well for stenciling. I set the "cut" to 2 and the "speed" to 8. 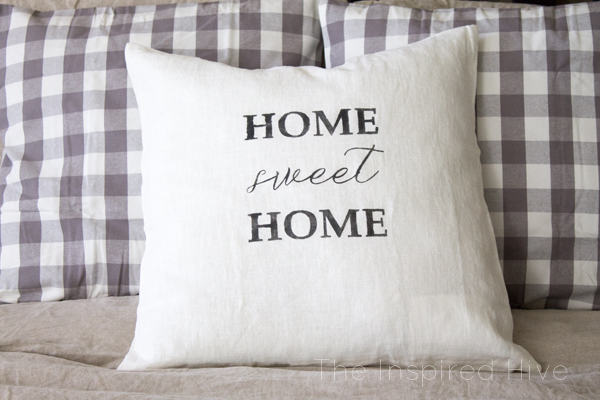 I found a white linen pillowcase at Ikea to use for my throw pillow. 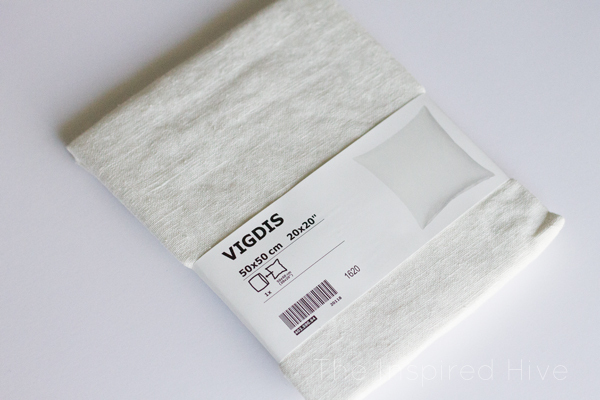 Ikea is a great source for affordable pillowcases and pillow inserts! 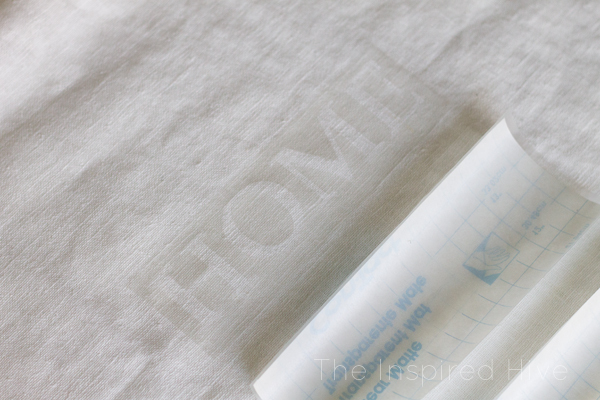 I used a weeding tool to remove my letters from the contact paper, careful to leave the stencil on the backing. 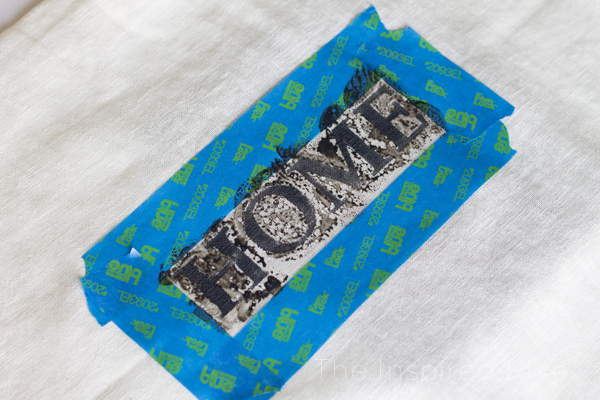 Then I placed another piece of contact paper over the top to use as transfer paper. 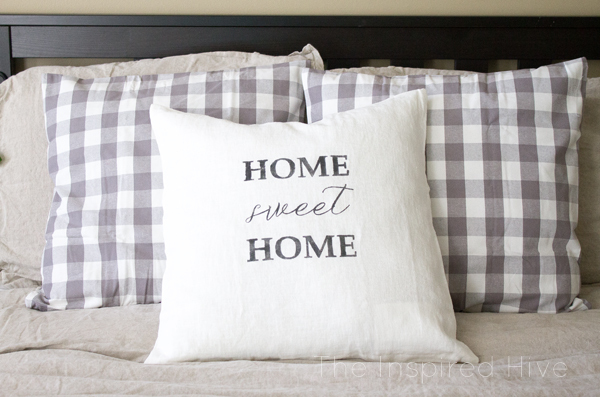 Transfer paper helps keep your letters together so you don't lose little pieces like the inside of an "O" or a lower case "e." Remove the backing from the word, press it down onto the pillowcase, and then remove the top sheet of transfer paper. I worked with one word at a time. I mixed some black acrylic paint with fabric medium in a cup. 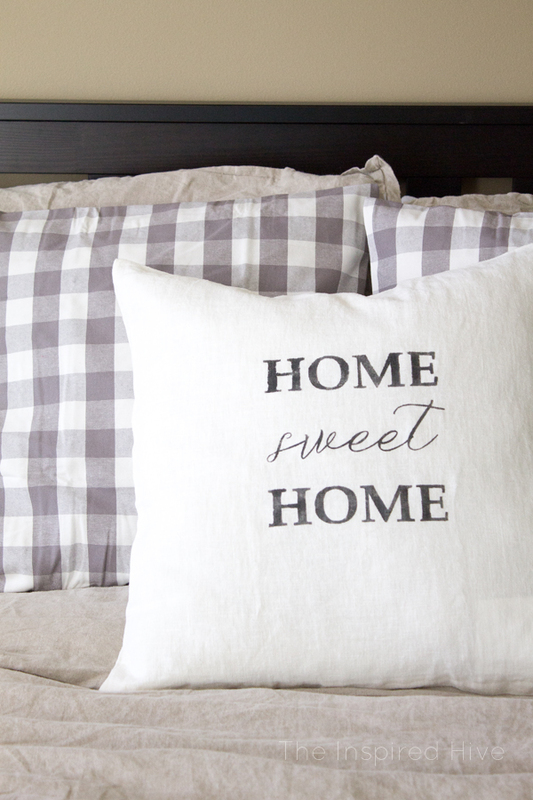 The fabric medium makes the paint less stiff and allows for washing. Follow the directions on your fabric medium. Most that I have used require a two to one paint to medium ratio. I framed out the stencil with painters tape to protect the rest of the fabric. 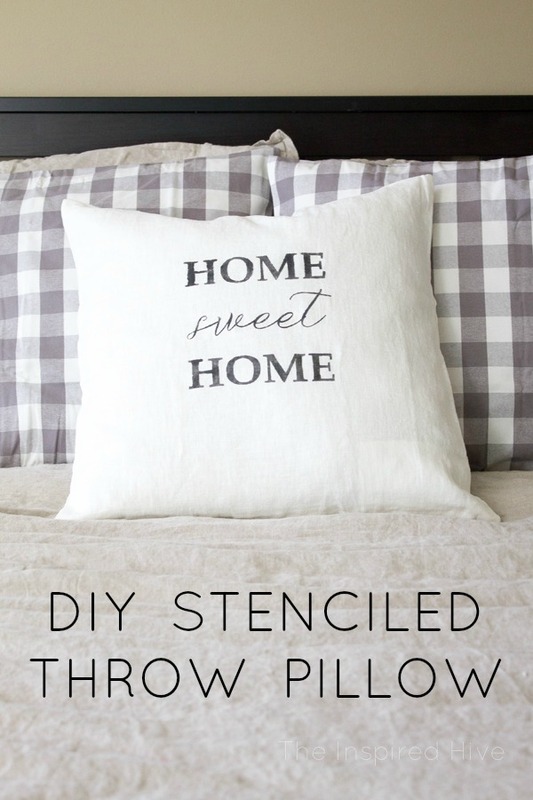 I used a stenciling sponge brush to paint over the stencil. After putting the sponge into the paint, dab it onto a paper towel before applying to your fabric. Then lightly blot it over the stencil. 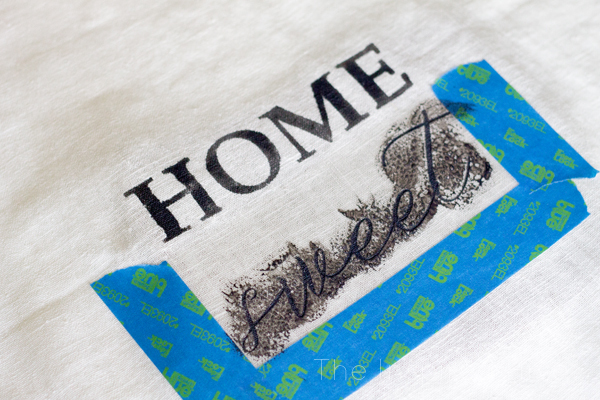 Allow to dry for a few minutes before removing the tape and stencil. I followed the same steps for the rest of the words, carefully positioning the stencils each time. After drying completely (24-48 hours according to my fabric medium directions), I used an iron to heat set the paint. I held a hot iron right above the paint but didn't actually touch the paint with the iron. 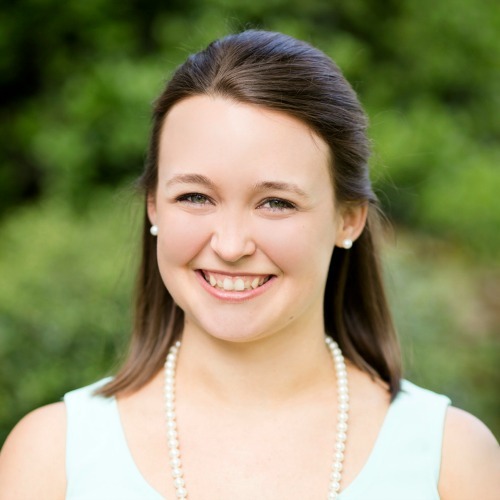 This project was fairly simple and took no time at all! I love how it looks in our guest bedroom. The whole space is coming together nicely. We still have a bit left to do, but here's a sneak peek for you!!! It's absolutely perfect Nicole! LOVE it! Such a cute idea, Nicole! It's really pretty. Aw, what a sweet pillow! I love it! 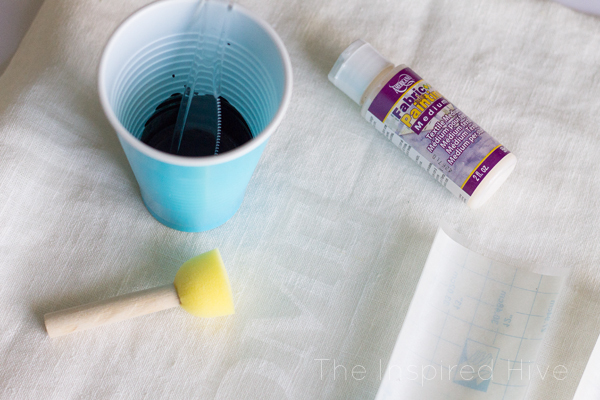 I also love the genius idea of using contact paper for the stencil - I never would have thought of that and I'll definitely have to try it!